Bertazzoni appliance repair by Andy’s. 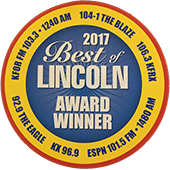 Andy’s Appliance Repair & Parts House is factory authorized to provide warranty and non-warranty appliance repairs for old and new Bertazzoni appliance repair, for the good folks of Lincoln. 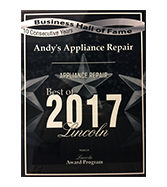 If you are in need of residential appliance repair on appliances like refrigerators, ovens, warming drawers, ice makers, dishwashers, washing machines, dryers, and more, Andy’s Appliance Repair represents an ideal blend of quality and value. 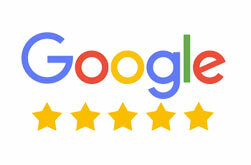 We are factory certified in most brands, types and models. We don’t charge you an arm and a leg to get the job done the right way. 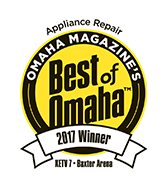 We’ve been serving Lincoln, Omaha surrounding communities and beyond with quality kitchen and laundry appliance repair for over 45 years, so it’s safe to say we have an understanding of what this industry demands as well as what our customers demand. Bertazzoni is an Italian manufacturer of premium home kitchen appliances. The first factory established in 1909 making wood burning stove cookers and then using new mass production techniques learned while working for Fiat to began expanding into gas stove production with over 80,000 units sold. In 1960 it began to export appliances to over 60 countries around the world. The folks at Bertazzoni performed and exhaustive analysis of the American market and in 2005 launched a series of all -new ranges under the Bertazzoni brand name at the top end of the market. Bertazzoni’s modern manufacturing facility is located in Guallatiri, Italy has quadrupled plant size since 1998 and the plant is currently undergoing another expansion to support the global growth of the Bertazzoni product line. With product specialization the business strategy has evolved to cope with the demand for higher performance products. The benefits in the kitchen are ease, efficiency and safety. Recent innovations include electrical induction cooktops, dual-fuel ranges , electric induction ovens and pyrolytic self cleaning oven linings. Bertazzoni appliance will last a lifetime. Bertazzoni Professional Series is highlighted by the signature knobs, ergonomic handle and the vibrant colors. These distinctive elements blend design and ergonomics is a signature style that has won multiple designs awards since its debut. Bertazzoni Professional Series ranges, wall ovens, cooktops, hoods, refrigerators and dishwashers rounds out the Bertazzoni Italian cooking experience.